Tiger Head Coach Lou Valdin knew it would be a tough game and was both pleased and disappointed. The first quarter and half of the second was a defensive battle: a mixture of punts, sacks, good tackling and good coverage. But the Tigers were finally able to draw first blood halfway through the second quarter with a 29-yard touchdown pass from quarterback Easton Melancon to wide receiver Kailon Carter. It looked as though Hahnville would take that lead into halftime, but with just a second left on the clock, Bulldog quarterback Ruston Matherne launched a 44-yard touchdown pass to wide receiver Sully Martin to tie the game. It was big plays like that one that proved to be the Tigers’ downfall. The second half began with both teams struggling to move the ball until Lutcher lined up for a punt and faked it by having the punter spin the ball upwards underhanded to a waiting receiver just on the other side of the line of scrimmage. That 17-yard play set up a 22-yard touchdown pass on the next play. However, the momentum did not change long as running back Ernest Thompson seemingly returned the ensuing kickoff 85 yards for a touchdown. The play was called back 30 yards for a holding penalty, but Thompson got back in the end zone five plays later on a two-yard touchdown run to tie the game again. After another Lutcher score, Thompson tied the game one more time in the fourth quarter with a 62-yard touchdown run. The Hahnville running game was strong once again Friday night as the team rushed for more than 200 yards, with Thompson and Travis Faucheaux shouldering the load. 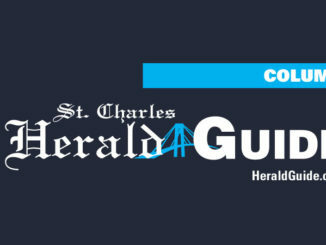 “Thompson and Faucheaux started off slow, but both of them ran hard in second half and performed well for us,” said Valdin. The tie stood until just under two minutes remained in the game, when Bulldog running back Daniel Taylor ran for a 45-yard touchdown. Then Bulldog linebacker Chase Caldarera intercepted a Melancon pass and ran it back 51 yards for another touchdown, sealing the win for the Bulldogs. 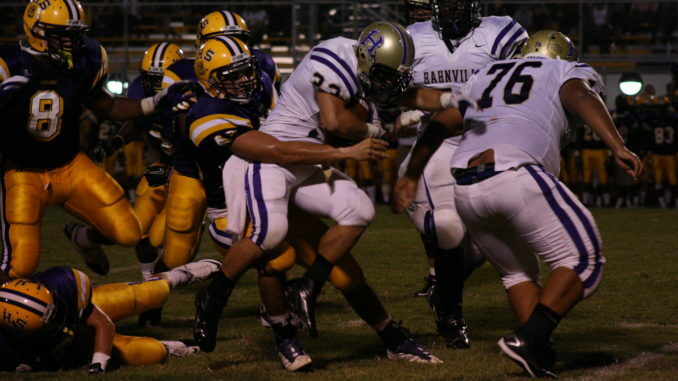 Hahnville returns to the friendly confines of Tiger Stadium this week to take on the 0-3 St. Augustine Purple Knights. The Knights are a very young team, but Valdin is not taking them lightly. The past two weeks, Brother Martin and Rummel have kept the Purple Knights’ running game in check much like the Tigers’ game plan was for Lutcher this past week. Valdin says that will be the plan again this week. “Our goal is to stop the run and put pressure on the quarterback,” he said. This game is not as much of a must-win for the Tigers as it is for St. Augustine, but Valdin is taking things one week at a time. The Tigers and Purple Knights will face off this Friday at 7 p.m.